You don’t want to be “that parent.” You know, the one who emails the teacher every single day. This parent emails about every little thing, from an accidental scratch at recess to a missing yellow pencil that is identical in every way to every other pencil in the room yet still somehow special. Yeah, you definitely don’t want to go that route. But emailing the teacher is a great way to keep a finger on the pulse of your child’s classroom. And there are times that you absolutely need to email the teacher about things good, bad, and ugly. Every child is unique and achieves at different levels. However, each kid is also typically consistent in where their grades fall. After a month or so of school, you tend to know where your child will normally score. So if your child is coming home with a test or assignment that is way lower than the norm, it’s time to email! Keep reading for a done for you email template freebie. Bullying is a huge concern in schools right now. There is a growing presence of cyberbullying, even in the younger grades. And with students so interconnected online, it’s easier than ever to pick on someone. 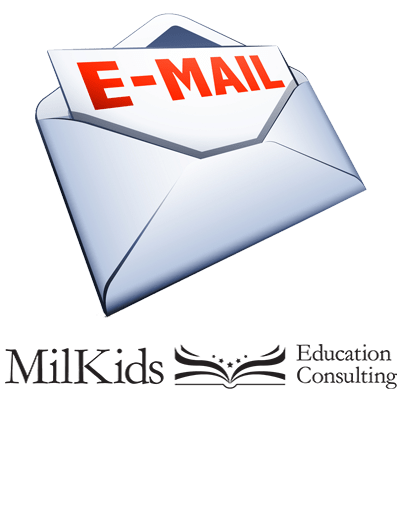 If your child is reporting that he or she is being bullied by another student, whether it’s at school or after the final bell, it’s time to email. Be specific about when, where, how, and by whom the bullying happened. Ask for a meeting with school administrators to nip this in the bud. Not all students will self-report bullying or other stressors in their lives. It’s up to their parents and teachers to pick up on changes in behavior or academics that can clue us into a problem. Ask for a referral to the school counselor or psychologist (if available) to discuss these changes and try to pinpoint the cause. Almost every night across the country, parents are baffled by their child’s homework. For most of it, especially math, you can run a quick search and find the answer. When it comes to major assignments, like projects or term papers, it helps to let the teacher know about your confusion. Chances are good that if one parent is befuddled, other parents are, too. Asking about the assignment gives the teacher a chance to review, correct, and clarify her instructions. She might even be able to provide supporting materials to help you even more! Family life directly affects a child’s performance at school. Whether your family is working through deployment, PCSing, divorce, remarriage, or adding another child (or anything else) the teacher should know about it. Of course, respect your own right to privacy first and foremost. Download your free email templates to find the best one to use in this situation. This one is tricky. Emailing about classroom policies and practices is treading on super personal ground for teachers. They hone and perfect their classroom strategies over many years of student and practice. When a parent directly questions their methods, it can sting. Instead, frame your questions as attempts to better understand how your child’s teacher teaches. It will read as less attacking and more team building, which is your whole goal in communicating! Every teacher needs and loves good volunteers. If you have the time to visit the school, email the teacher with your availability and skills. Or ask what he needs help with. Some teachers like to plan tasks for volunteers to complete. Others like to have the volunteers take charge based on what they enjoy. You should also email to chaperone field trips, work school-wide book sales, help with class projects, or donate materials to the classroom. These are all happy reasons to email, so take advantage of them. Everyone likes to be told how awesome they are, right? Teachers are no different. If your child’s teacher is going above and beyond, helping your child succeed and have a great year, send that email! You should also email the principal about how amazing your child’s amazing teacher. Suggest to other parents that they email, too. Principals usually deal with angry or upset parents, so positive, happy emails make their day much brighter. And can get your child’s teacher a better professional evaluation down the road! What are some strategies you use when emailing the teacher? Share your best tips in the comments!